Posted By:Unknown | At:7:35 PM Be the first to comment! JACKSONVILLE — Thirty-one hours after deliberations over two days, a jury found Michael David Dunn guilty of four of five counts, but could not agree on first-degree murder. Circuit Judge Russell Healey declared a mistrial on the first-degree murder count. The jury found him guilty of three counts of attempted second-degree murder and shooting a deadly missile. 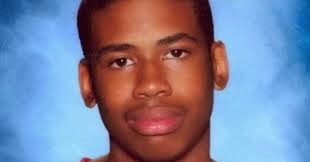 Dunn, a 47-year-old South Patrick Shores software developer, shot and killed Jordan Davis, 17, during a November 2012 Jacksonville parking-lot confrontation over loud rap music. Healey announced late Saturday afternoon that the jury had reached a verdict on four of the five counts, but the jurors said they were unable to reach a unanimous verdict on count 1 — first-degree murder — or any of its lesser included offenses. Healey brought the jurors into the courtroom and recited them an Allen charge, which is an instruction to continue deliberations and make a decision. "By law, I cannot demand this of you, but I want you to go back into the jury room," he told the jurors. He encouraged them to talk about "any weaknesses of your own position" and to "not interrupt each other or comment on each other's views until each of you has had a chance to talk." After that, "if you simply cannot reach a verdict, then return to the courtroom and I will declare this case mistried as to that count," he said. Healey recited their latest question: "We have reviewed the weaknesses of our position, and have more to talk about. If we are unable to agree and reach a verdict, is the entire case mistried or is the single count mistried?" He told them only the single count would be mistried, not the entire case. The question came less than two hours after the jury announced it had reached a verdict on four of the five counts. Dunn faces charges of first-degree murder, three counts of first-degree attempted murder, and one count of shooting or throwing a deadly missile. Jurors can also consider lesser charges of second-degree murder, manslaughter, second-degree attempted murder and attempted manslaughter. Prosecutors said Dunn fired 10 bullets at a sport-utility vehicle containing Davis and three other black teenagers. Dunn testified on the witness stand that he feared for his life and thought Davis was armed with a shotgun. But detectives said no weapon was found in the SUV. Dunn's trial started Feb. 3, and jury deliberations began Wednesday. About 4:50 p.m. Friday, Healey announced that the jury had a question: Is it possible to not reach a verdict on one count and reach a verdict on other counts? "The answer to that is yes," Healey said. Including meal breaks, the jury deliberated about three hours Wednesday and nearly nine hours Thursday before resuming work about 9 a.m. Friday. The jury is composed of four white men, four white women, two black women, one Asian female and one Hispanic man. There are also four alternate jurors. At 6:50 p.m. Friday, the jury told Healey that it had "reached a wall." Deliberations ended for the night, and the jurors were driven back to their hotel. "This is one admirable group, I'm telling you what," Healey said. "They're clearly taking this thing as seriously as they should. And I couldn't be more proud for how hard they're working and the number of hours that they've been deliberating to try and resolve this case." Dunn's jury has now deliberated longer than their counterparts during Central Florida's Casey Anthony and George Zimmerman trials. Journalists and spectators passed time Friday on the fourth floor of the Duval County Courthouse, looking at their phones and taking brief walks to stretch their legs. Based on his research, Healey said it appears that jury deliberations can continue on Sunday, if necessary. Sunday would have been Davis' 19th birthday. "We don't really want the jury's verdict to come down on his birthday. But it may be that way," his father, Ron Davis, said on the courthouse steps after deliberations ended.